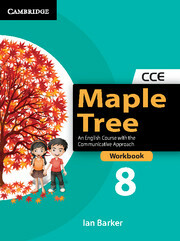 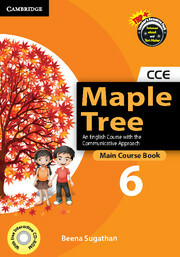 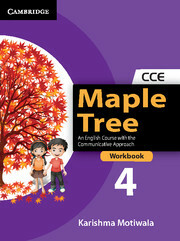 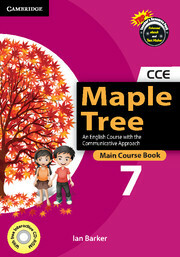 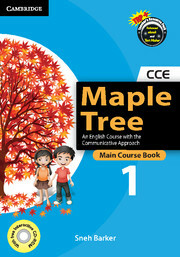 Prepared with the intention of inculcating in learners the love of literature, each literature reader (1-8) in Maple Tree: An English Course with the Communicative Approach contains a unique collection of literary texts culled from diverse genres and cultural contexts. 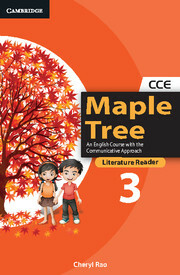 Thus, the texts draw as much upon mythology and folklore as upon contemporary literary texts. The learners are exposed to age-old English classics in abridged form on the one hand and to the more recent ‘Literatures in English’ on the other. The texts also feature protagonists from different cultural and ethnic backgrounds of India. Ideas for projects and classroom activities to take learning beyond the book The exercises are meant to help the learners understand the text in a nuanced manner. They are also intended to provide learners with some basic knowledge of literary terms, forms and aspects which can then be developed further through the additional activities suggested in the lessons.